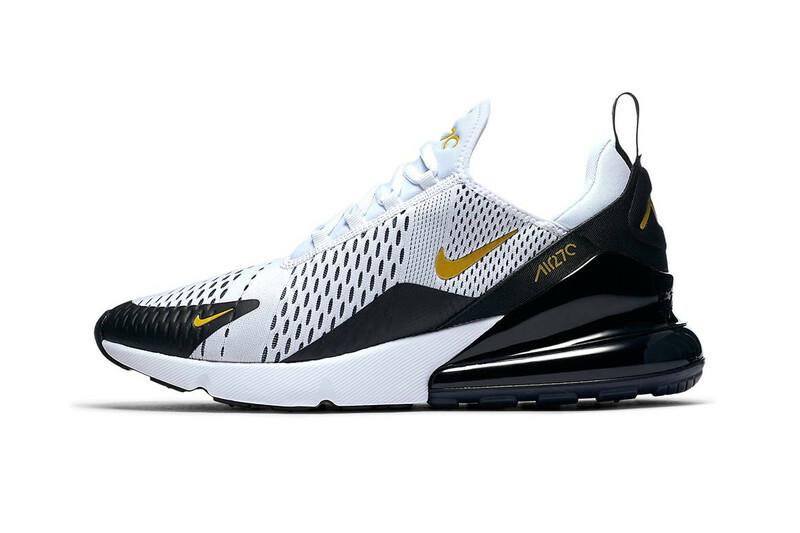 Nike‘s Air Max 270 elevates its game with the newest “White/Gold/Black” colorway. Following in the footsteps of previous neutral palettes such as “Elemental Gold” and “Light Grey,” this clean colorway takes on a classic black and white look with metallic gold branding. The silhouette features a white knit upper with black peeping through from beneath the weave. More black contrast comes by way of printed overlays at the toe and midfoot mudguards, heel counter reinforcement, a glossy 270 heel bag sole unit and thin outsole. All of this sets the stage for the gold Swoosh and Air 270 branding accents. Celebrating the slogan’s 30th anniversary. T-shirts, track pants, shorts and more. Each pair comes with different prints. The line is broken down into three stages.